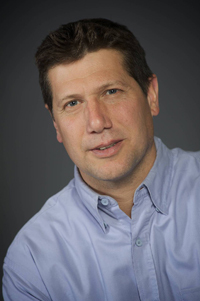 Ofer Arazy is an Associate Professor at the Department of Information Systems at the University of Haifa. Prof. Ofer Arazy holds a B.Sc. and MBA from Israel Institute of Technology (Technion) and a Ph.D. from the University of British Columbia (UBC), Canada. Prior to his academic career, Prof. Arazy held various positions in industry, including Operations Manager for the software house Jacada. Ofer's research interests – broadly speaking – are in the areas of knowledge management and computer supported cooperative work (CSCW), and he employ a variety of research methods: from design science to behavioral research. His research has been supported by various funding agencies and external sources. Prof. Arazy's work has appeared in: MIS Quarterly (MISQ), Information Systems Research (ISR), Journal of MIS (JMIS), Journal of the AIS (JAIS), among others; and his 2010 JAIS paper was the recipient of the AIS Best IS Publication of the Year Award. Prof. Arazy has served on various journals' editorial boards, and he currently serves as an Associate Editor (AE) for MISQ.